Cyrsti's Condo: Another Kennedy in Line? Fortunately in this country, there are intelligent young progressive politicians waiting in the wings to take the reins of power from the old corrupt fools we have in power now. 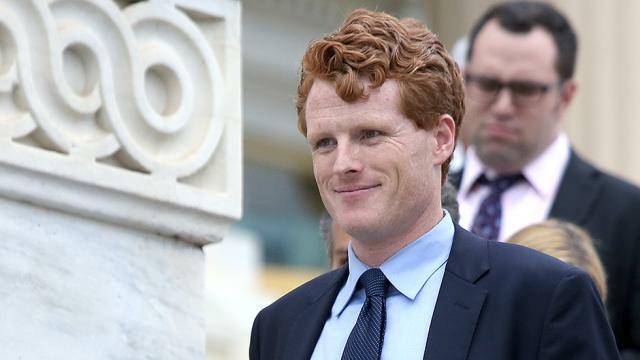 One has a familiar last name, Joe Kennedy and he will be stepping up to deliver the Democratic rebuttal to the orange buffoon's State of the Union" address. Which I will be boycotting. "Rep. Joseph Kennedy (D-Mass.) has invited a transgender soldier to President Trump’s first State of the Union in protest of the administration's attempt to ban transgender people from the military. atricia King will be the lawmaker's guest to Trump’s address, according to The Boston Globe. King also told the publication that she was the first service member to have her gender reassignment surgery paid for by the military. Kennedy, a rising star in the Democratic Party who will deliver the party's response to Trump’s address, told the paper that he invited King to remind the president of transgender service members' dedication to the U.S.
“I want her to be there as a real person, and the face of an inhumane policy,” Kennedy said." When I see the Kennedy name once again involved in current US federal politics, I begin wondering what the arranged cause of death will be, this time. I'll be honest too...I really hope not.